As desirable as it is for children to have a relationship with their parents, American law does not straddle a person with the responsibilities of parenthood unless there is sufficient evidence showing that the person is, in fact, the parent of a child. Where paternity is contested, courts must allow the person who is defending a paternity suit (that is, the person who is claiming the man in question is not the father of the child in question) the opportunity to present his or her side of the case and rebut any paternity presumptions that exist. If proving paternity is a challenging endeavor, rebutting any of the paternity presumptions can be equally difficult. A “presumption” in the case of a paternity action works similarly to an assumption or conclusion. That is, so long as the party seeking to establish paternity has produced evidence showing it is more likely than not true that one or more of the paternity presumptions apply in a particular case, the court will assume that the man in question is, in fact, the father of the child unless the other party can produce sufficient evidence to rebut the presumption. If a presumption is rebutted, the court will disregard the presumption and (unless the other party responds with additional evidence) the court will not enter an order establishing paternity. See the Arizona Revised Statute on the presumption of paternity. That any acknowledgement in which the man attested that he was the father of the child was produced as the result of fraud or duress. 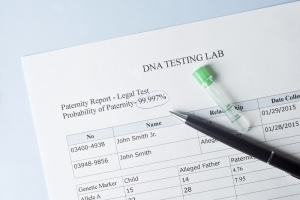 Rebutting a presumption of paternity requires more evidence – and more persuasive evidence – than that required to establish paternity in the first place. One especially powerful piece of evidence that can be used (if it is available) is another court order not establishing paternity. For example, suppose that the parties in an Arizona paternity action had previously lived in Colorado with the mother’s 5-year-old son. In Colorado, the mother brought a paternity action to establish the man as her son’s father. However, the mother was unable to meet her burden of proof and the court found the man not to be the child’s father. When the mother attempts to relitigate the issue of paternity in Arizona, the man can produce the court order from Colorado: in most cases, this will effectively rebut the presumption of paternity (especially if the mother is not able to produce any additional or new information that was not presented to the court in Colorado). Contact one of our experienced Tucson divorce attorneys for help with your case. 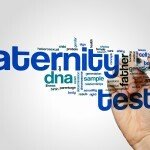 Can I Refuse a Court Ordered Paternity Test in Arizona? 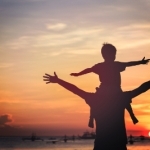 Find out How Does a Father Establish Paternity if Unmarried? 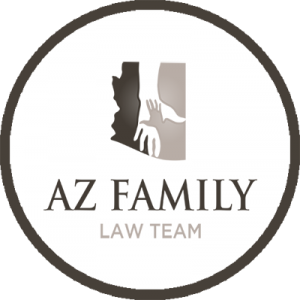 How is Mediation Used for Family Law Matters in Arizona?